Chances are if you are reading this then you are probably feeling overwhelmed by a large amount of debt, and you are wondering what you can do. We understand, and we want to help. You should know that you don't need to drown under your debt! Urgent Credit Counseling will help you sort out your options for dealing with excessive debt, including bankruptcy, and we'll assist you in putting together a road map for your future. We will review your household budget and help you gain a good understanding of basic finances. We want to help you with whatever path you choose towards a brighter financial future! Urgent Credit Counseling has been designed by attorneys and financial professionals to give you a high-quality, low-cost alternative for credit counseling. We are approved to offer counseling in every U.S. Trustees Office jurisdiction, Alabama, and North Carolina. If you need a certificate for bankruptcy the counseling session will cost you only $20 per household (spouses get their certificates at no additional charge). Our counseling session is only offered online, and our counselors are available by email to assist you. Getting started is easy, and we walk you through the entire process. 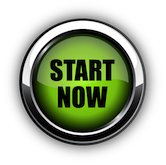 Just click the Start Now button here or on our home page, and you'll be well on your way to a better understanding of your finances, and taking back control of your life!